Talk about adrenaline pumping!! I had a hunch that Ella wasn’t in for a simple trip overseas. And boy was I right!! Ella wakes up in a hospital, in Italy, knowing nothing. She doesn’t even remember her own name! All she knows is that there’s a beautiful man watching her and wanting to help her. I can’t even imagine waking up and not knowing who I was or why I’m in a foreign country. But seeing as she’s all alone, Ella has no other choice but to trust him. With Kayden’s help, bits and pieces of her memory slowly start to come back. But with these memories comes the realization that she has made some very bad choices and befriended some very evil people. The crazy thing is that she feels this insane attraction to Kayden and wants to trust him to help her, but what if he’s one of those people? My word, just when you think you know what’s going to happen, the rug gets pulled out from under you. Every time Ella had a flashback I was hoping for a some answers, but all we got were more questions. This is a fantastic start to another thrilling and exciting series for Lisa Renee Jones. Denial can be read without reading the Inside Out series, but I highly recommend you read that series as well. It was also get your blood pumping and your heart racing. 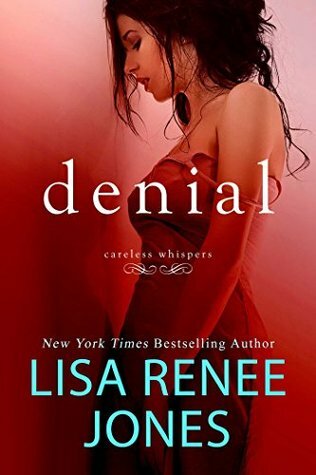 Read Denial before Demand comes out, in May. The most REAL ending to this series I could ever hope for. 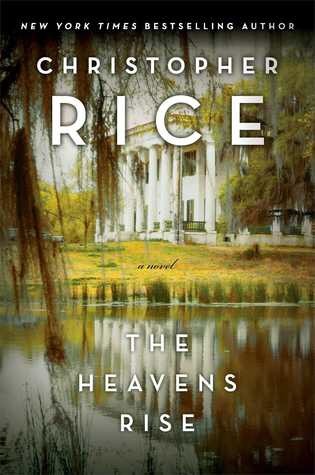 Reese Dumas is staying with her cousin, in order to get a break from her life and to find the real her. She’s been hidden away for so long, now the chance to find her. I liked Reese. She seems very sheltered on some ways, and yet very worldly in others. She has a very low self esteem and is trying to make herself into a person that she thinks is perfect. But there is no such thing as a perfect person. Maverick Cage is fighting to prove himself worthy. He just needs a chance to do it. But really all he wants is for someone to be in his corner. Deep down that’s what we all want. When we first meet him, he has this passion and drive and it hurt to see him being rejected for reasons outside of his control. But he never gave up. By some miracle, he stumbles upon Reese and his world is about to change. Love is a funny thing. I don’t even know if you could it a “thing,” precisely. It’s a force. An energy. A feeling. A moment. A look, a kiss, a smile. All of those things in one. It sneaks up on you; you never see it coming. And when it does finally hit you, it isn’t a small little poke. It’s like a rhinoceros rammed itself against your chest. Or you just got run over by a car. It knocks the wind out of you. Slams you against the wall. Kick-starts your heart. Of all the fighters she could’ve fallen for, he was the worst. But for her, he was the best. The crazy thing about this book is that it seemed like there was WAY more action and less talking. Normally I don’t like that, but I felt this book needed that. We needed to be inside Reese and Maverick’s head to fully understand their trials and pain. Of all the fighters she could’ve fallen for, he was the worst. But for her, he was the best. While I am sad to see the series end, I think it went out with a bang. With the roll that Remy played, I don’t think this book could’ve ended any better. Bittersweet. 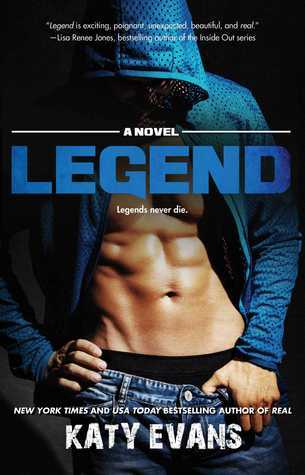 Be sure and grab Legend (The REAL series Book 6) , since Katy will be donating a percentage of sales to the NationalMsSociety.Org. This is a book that is hard to review, because it simply isn’t black and white. This novel is about a lady who finds a baby left unattended in an IKEA store and walks away with her. Twenty one years later she is caught. This book attempts to tell her story and show us the aftermath. I’m so conflicted. Yes, what she did was 100% wrong. She never claims it wasn’t. However, the fact of the matter is, it was a “one-off” that would have never happened if the birth mother hadn’t answered a phone call, walked off, and left her baby unattended for several (never really told how long, but I am guessing it was well over 10 minutes, possibly more than 20) minutes. I would also like to point out that the birth mother….well, there’s no two ways about it. I didn’t like her character. As hard as I tried, I just couldn’t find her believable. She was just too over the top and wholesome for me to deal with. Going on and on about placing soothing drops on pillows to help her reunited daughter sleep easier through the night, sessions of throwing rocks and yelling into the wind to cleanse out bad feelings, taking her (now adult) daughter to sessions to have her charted and palms read. Yes, I’m sure these people exist in life…but if I was that daughter, I would have been very weirded out by her. Finally, why the book was full of so much grey matter for me was the daughter. She made the book worth reading. Once she started reflecting on her life and the guilt she felt for loving a woman who provided so much for her….when she started wondering how different her life would have been….well, you can imagine…having to feel guilty about loving someone…well it must be a terrible feeling to have. 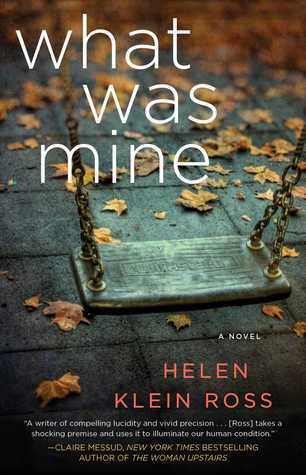 Then trying to come to terms with that love, with the guilt, and being glad she had the life she had and not the one she was taken from….well, again, her story and her hurt is what made the entire book a worthwhile read for me…. I’m normally not the kind of person who gets scared while reading a book. Zombies, ghosts, vampires, end of the world…bring it on. But books about something that is a very real risk are in another category. 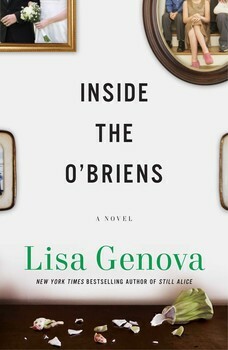 This newest story by Lisa Genova is one of those books, one that will keep you thinking long after the last page has been turned. Joe O’Brien is a happy man. He’s a proud member of the Boston police force, and his few days off are spent with his wife Rosie and their large family. They’re a classically close Irish family, even eating Sunday dinner together every week. Things aren’t perfect, and life is hard. But Joe understands it’s the small things that matter, things like watching baseball with his sons or watching his daughter dance with the Boston ballet. But then things start to go wrong. At first it’s hardly noticeable, a forgotten word here and there. Things gradually get worse as Joe starts to experience extreme mood swings, stumbling from time to time, forgetting things on a regular basis. When Rosie finally persuades Joe to go to the doctor, neither one of them is prepared for the diagnosis of Huntington’s disease. So begins their adjustment to living with a progressive and fatal disease. That’s not the worst part for Joe, though. He has to live with the fact that each of his four children has a 50% chance of carrying the gene for Huntington’s and eventually developing symptoms. Not only do they all have to live with this shadow looming over them, but they also must each decide if they want to be tested, to find out if they carry the gene that will eventually cause their premature death. Without giving away too much, I will say that I was very satisfied with how this story ended. Rather than wrapping everything up in a nice, neat package for the reader, the author leaves us wondering a bit, deciding for ourselves just how we want it to end. There’s enough of a resolution to avoid a cliffhanger without making the conclusion seemed forced. Genova has a way of getting right to the heart of the matter, whether it’s Alzheimer’s, traumatic brain injury, or Huntington’s disease she’s writing about. As a neuroscientist she brings an air of credibility to her writing that makes the stories so much more authentic. But she also brings plausibility to her characters and makes them lovable in spite of their very real faults. I’ve read every book written by this author, and each one has been better than the last. Sometimes you just know. You pick up a book, look at the cover, read the blurb on the back. And you decide it sounds pretty good so you give it a chance. And then you start reading it. Within the first few pages, you know you’ve found something good. 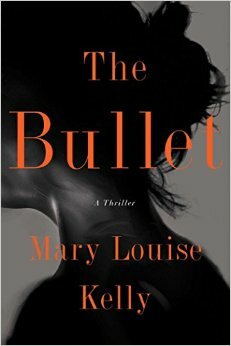 These little gems don’t come along very often, but this one by Mary Louise Kelly was just that kind of book for me. Caroline Cashion has a happy, successful life. She makes her living as a college professor. She can’t believe how lucky she is to actually get paid for doing what she loves. Although single, she’s very satisfied with her life. She also enjoys a close relationship with her family, eating dinner with her parents several times a week. The only dark spot in her cheery little world is a nagging pain in her wrist. Carpal Tunnel Syndrome, surely, as she spends her days hunched over her computer typing away. But a semi-routine doctor’s visit turns up something both ominous and puzzling. Caroline has been walking around with a bullet lodged at the base of her skull. Ominous because, well, it’s a bullet at the base of her skull. And puzzling because, well, she’s certain that she’s never been shot. As she seeks to find out the truth, she uncovers family secrets that have been buried for several decades. And she garners the attention of those who would rather those secrets not come to light. This book was an incredible read for me. The plot is original and intriguing, and I couldn’t put it down. 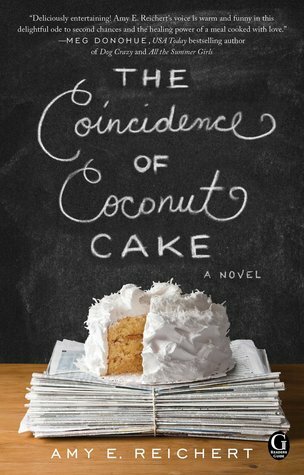 The author weaves a story full of twists and turns leaving the reader desperate to find out what’s going to happen next. The only thing that kept this from being a five star book for me was a twist towards the end that stretched the limits of character credibility for me. Still, an excellent story!